3. Bypass logins and read files from apparently secure files. This is just a quick and dirty example to show how to change messages on the screen and set variables or booleans. 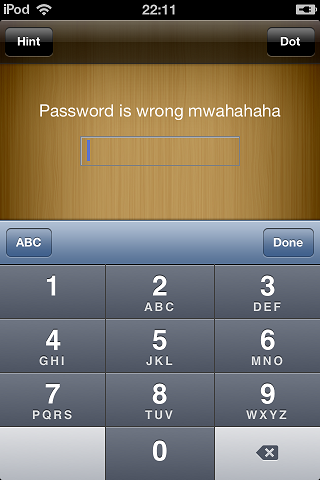 The screen at the time of login shows a nice message stating that the user should enter a password. Well I think we should be modifying that to some slanderous dig about the individuals man hood…….or at least to inform them of this new found predicament they are about to find them self in as we move through the next section. Let’s start with where we are in the app on the screen and compare it to the method calls and associated variables. I have to reign in the insults so not to offend all the woman and children that visit the site…..
That was fun and all but what about breaking stuff….fear not…we’re here, the first parts are import in changing and manipulating the App and its response. 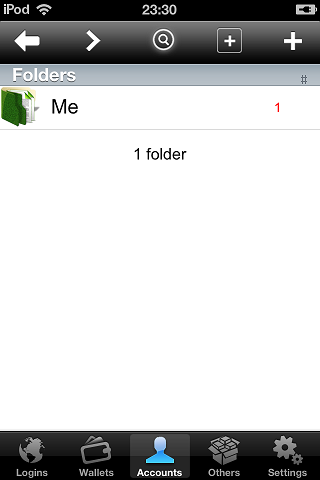 The first thing I am going to demonstrate how easy it is first and foremost to bypass the pin. There is no need to go into great detail here it’s just the same as part one where we change a boolean function to return true. This was a little harder as there were multiple methods called and required a bit more digging. Don’t forget there are a number of usual functions at cycript for exploring the app. And there she is…..cycript is awesome!!! Now let’s consider our earlier task of changing the message……..
We can now login with the PIN 1234! HEHEHE not to forget the message about man hood!……………This could be quite a shock to a user of the App who ends up locked out and abused! The information available clearly details credit card information and pins normally secured, proving nothing is safe if your phone is rooted.